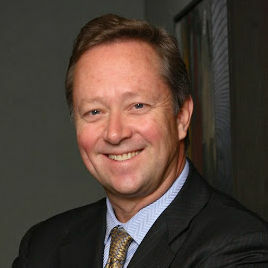 Mr. Holmberg is the Managing Partner and co-founder of Holmberg Watson – A leading boutique business law firm in Toronto. Prior to establishing Holmberg Watson in 2009, Mihkel was a partner at a well known, national firm with offices across Canada. Mihkel acts for a diverse range of clients from privately owned businesses to public corporations, in a variety of sectors including information technology, marketing, financial services and manufacturing. Clients rely on Mihkel’s vast experience and strategic advice to achieve their goals and objectives in all matters pertaining to business and commercial law. With over 30 years of experience, Mihkel Holmberg is highly regarded within Toronto’s business and legal communities for his acumen as a Toronto business lawyer. We know business law, but you know your business. In order to provide effective counsel, Mihkel listens to learn as much as he can about your concerns and goals. Then, after careful consideration and an all encompassing review of the issues at hand, he will return to you practical, tactical, creative and expert legal advice and legal support services to solve problems, obtain goals and maximize your business opportunities. We deliver what business clients want from their legal advisors – The right legal solutions, delivered as quickly and efficiently as possible.